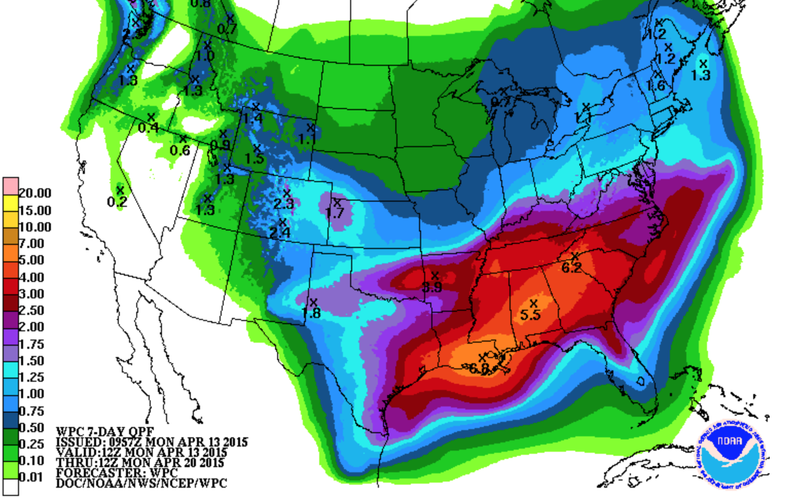 Here is the seven day rainfall amount forecast. 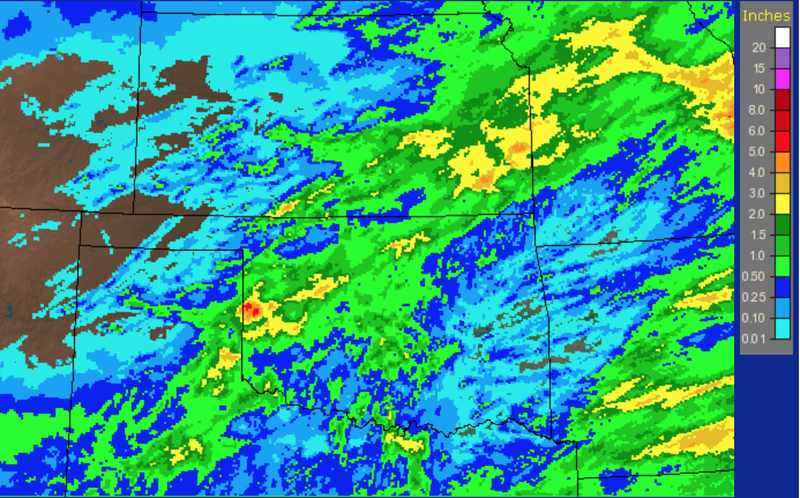 I do think it is a bit low in Kansas (i.e., a little more rain will fall than forecast). Unfortunately, the heavy rains in the South will lead to more flooding.